The annotated collection of tools for your Digital Humanities Project! 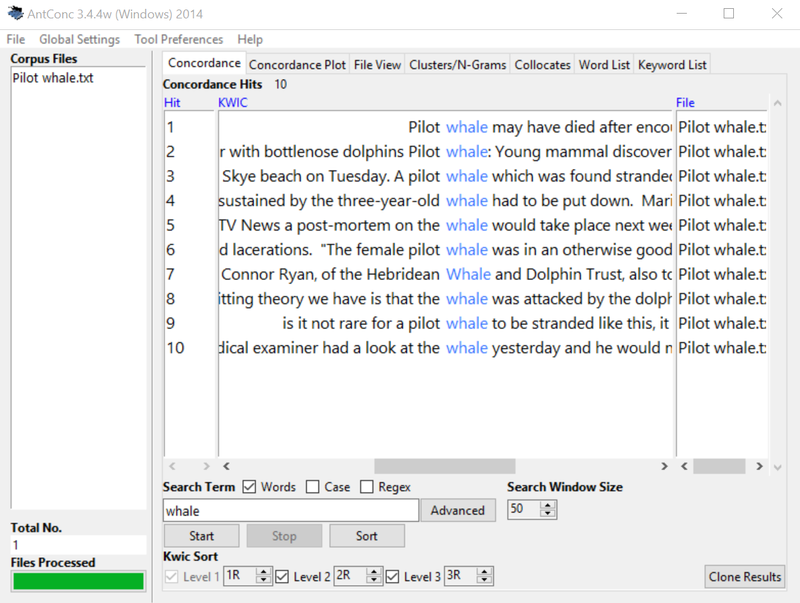 AntConc is a toolkit of seven separate tools developed by Laurence Anthony that allows users to perform concordance, textual, and statistical analysis of a body of text. 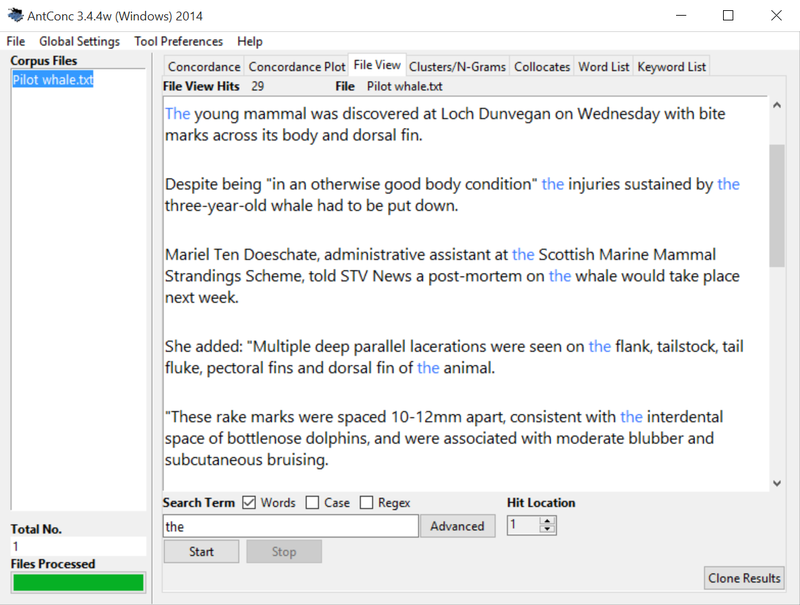 Users can also view “clusters” of any given search condition, collocates, and essentially dissect and analyse their selected text by any means necessary. AntConc is also unicode compliant, meaning it can perform these tasks in any written language. 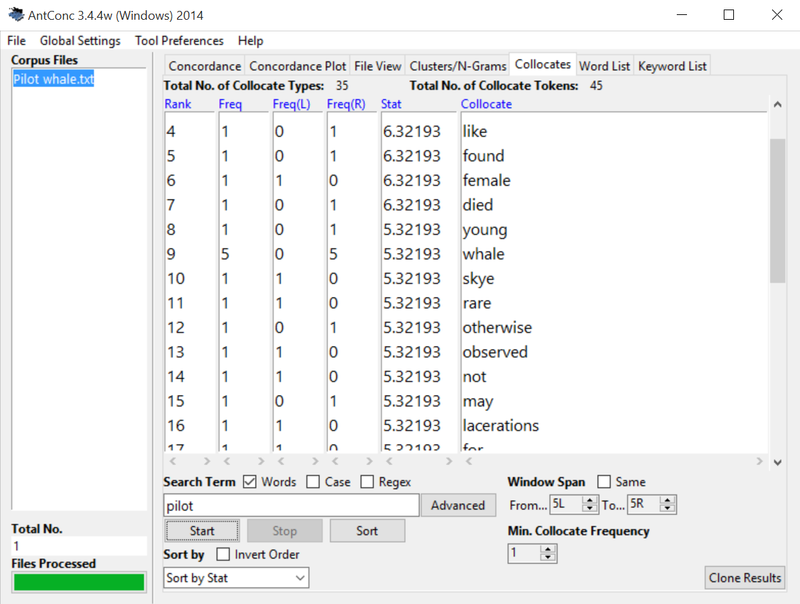 This toolkit is arguably one of the best free collections of tools for datamining and textual analysis currently available. Although its user interface can be a little intimidating at first glance, the creator himself has provided a great “help” file (with pictures!) that intimately describes each function and how to best utilize the tools. This toolkit is fairly widely used in the Digital Humanities, so there are other great tutorials out there as well, like this one from Heather Froehlich. Whatever questions you’re trying to answer, if you need to look at words in large quantities, AntConc is your best friend. Prerequisites: Must have a computer running Microsoft Windows 98 or above, Mac OSX or above, and Linux Ubuntu 10 or above. Out-of-the-box usability: 4, AntConc requires the user to download it and install it on their computer before they can use it, but once that’s done it’s as simple as adding the necessary text files and analyzing them using as many of the AntCon tools as the user desires. Ease of use: 3, this toolkit can be cryptic and intimidating on its own, but with the use of outside tutorials it can be fairly easily learned. Functions are labeled clearly and all most customization search parameters are on the main page where they can be adjusted (the fancier ones are tucked away under “tool preferences”). Aesthetic Appeal: 2, Honestly, the point of this tool isn’t to look good, it’s to generate usable data and answer questions. Highlighted words in the text file are bolded and colored which makes them easy to spot, and the menus are laid out in a fairly intrinsic way.